Apple today announced that its HomePod speaker will be released on Friday, February 9, with orders beginning Friday, January 26 via Apple's online store or the Apple Store app in the United States, Australia, and the United Kingdom. Apple added that HomePod will launch in France and Germany at some point "this spring," but hasn't provided release dates for other countries like Canada. HomePod is priced at $349 in the United States, £319 in the United Kingdom, and $499 in Australia. The speaker will be available in White or Space Gray from Apple Stores and at select resellers in each country, such as Best Buy in the United States, John Lewis and EE in the UK, and Harvey Norman and Telstra in Australia. Apple has primarily positioned the HomePod as a speaker that can stream Apple Music, but with built-in Siri, users can send messages, set timers, play podcasts, check the news and weather, control HomeKit-enabled smart home accessories, and complete other tasks without needing to take out their iPhone. The high-fidelity speaker is equipped with spatial awareness and Apple-engineered audio technology, including a seven‑tweeter array and high-excursion woofer. The nearly seven inch tall speaker is powered by Apple's A8 chip. HomePod is a magical new music experience from Apple. It brings advanced audio technologies like beam-forming tweeters, a high-excursion woofer and automatic spatial awareness, together with the entire Apple Music catalog and the latest Siri intelligence, in a simple, beautiful design that is so much fun to use. We're so excited for people to get HomePod into their homes, apartments and businesses to hear it for themselves. Apple said a software update coming later this year will enable users with more than one HomePod to play music throughout their homes with multi-room audio via its AirPlay 2 protocol. And if there's more than one HomePod placed in the same room, the speakers will be able to detect each other and deliver stereo sound. 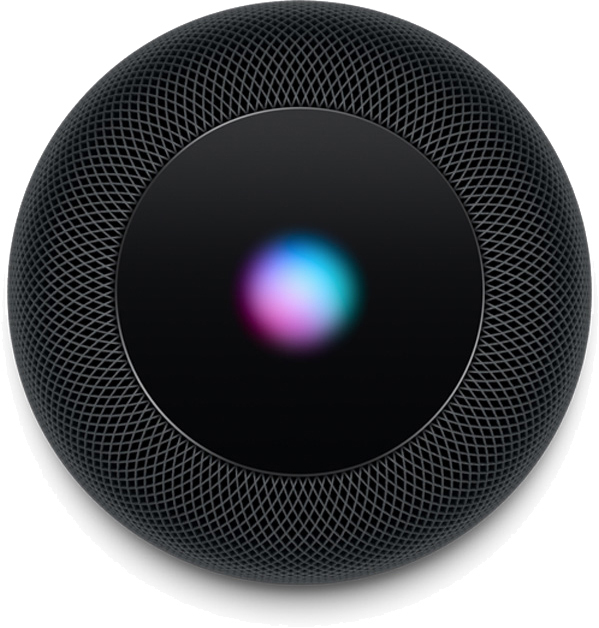 HomePod is compatible with iPhone 5s or newer, any iPad Pro, iPad Air or newer, iPad mini 2 or newer, and the sixth-generation iPod touch running iOS 11.2.5, which remains in beta testing, or later software versions. HomePod is Apple's answer to the Amazon Echo and Google Home. The speaker was originally set to be released in December, but Apple delayed the launch, and missed out on sales during the holiday shopping season in the process. Another assistant loaded speaker that is really not needed. They do know the Echo is $99, right? Plus - the Echo includes free surveillance! I thought we did know it was an echo like device? Unless they drastically improve Siri, I don't think it will offer the same level of services. "Coming this year in a free software update, users will be able to play music throughout the house with multi-room audio." WTF seriously? I'll buy later in the year when it's discounted on closeout cause nobody wants half-assed crap. In the 80's most people thought personal computers weren't needed. In the 90's most people thought the internet wasn't needed. In 2007 most people thought smartphones weren't really needed. In 2010 most people thought the iPad wasn't really needed. In 2015 most people thought smartwatches weren't really needed. Home automation + smart assistants is gonna be huge. The industry is still in it's infancy, even today. And Google Home Max is $399. I really don't get the point of this products and its competitors.